It's not all surfing in Hawaii. There's fashion, too. All photos by James Sturz. Three winters ago, Contributing Koan Editor mused about the idiosyncrasies of Parisian haute couture after attending Prêt-à-Porter Fashion Week, alongside his much better dressed wife. As the world turns its attention to the next round of shows kicking off in New York and Europe this month, James reports from the warmer breezes of Hawaii and the in Waikiki, where he filed this special report from . 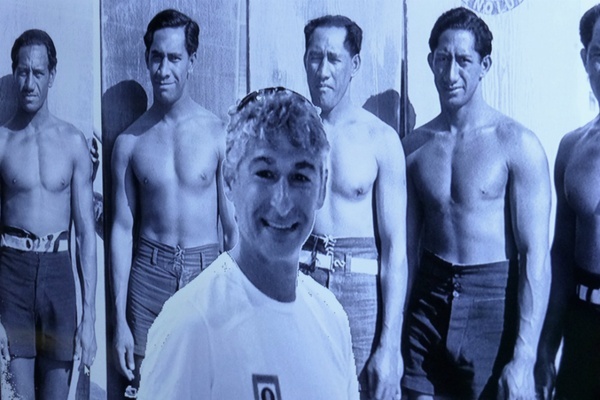 HONOLULU, Hawaii – Behold, my self-portrait with the comely Hawaiians, surfer dudes all of them. That's , second from the left, the Honolulu native who popularized the ancient Hawaiian sport, introducing it in Australia and California alike. Surfing wasn't Kahanamoku's only sport. He was also a five-time U.S. Olympic medalist in swimming, a member of the 1932 U.S. Olympic Water Polo Team. Two from the right is Kahanamoku's younger brother Samuel, also an Olympic swimming medalist and surfing pioneer. 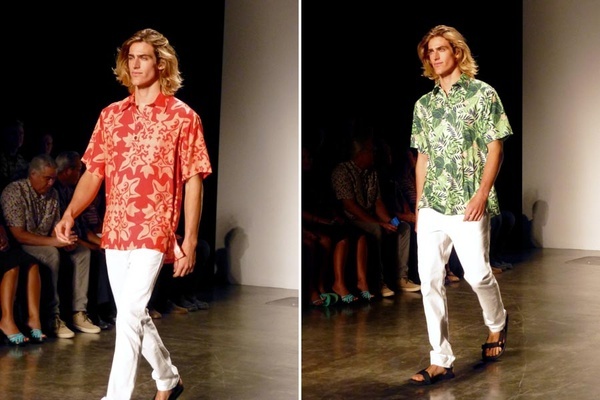 You can't visit a fashion show in Hawaii without expecting at least one surfboard. That's Hawaii-born Victoria's Secret model Keke Lindgard wearing — herself a Hawaiian surfing champion and Sports Illustrated swimsuit model, now married to Hawaii Five-O actor Alex O'Loughlin. ʻAe, it gets incestuous, brah. Beware the perils of the sun. Suit and parasol by Honolulu-native , a 2010 Project Runway finalist, back when she was known as Andy South. 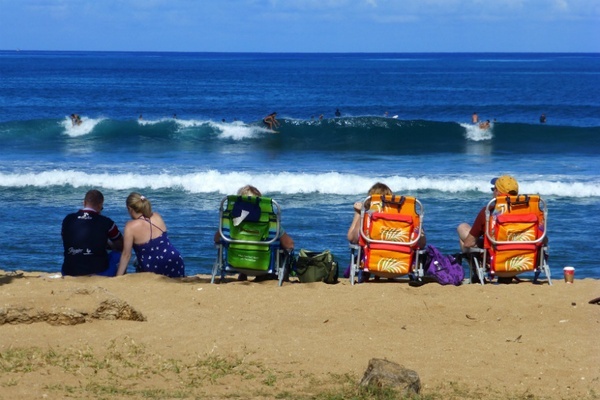 No, it doesn't actually get cold in Honolulu. Although you'd be hard-pressed to get the audience out of rubbah slippahs, as they're uniformly called here. Other uniform by . From left to right, that's Maui-based Koa Johnson of , Allison Izu Song, Ari South, Summer Shiigi of , and Malia Jones, who took part in November's three-day, 11 runway-show spectacle at the Hawaii Convention Center in Honolulu, once a stand-in for Sydney Airport in Lost. 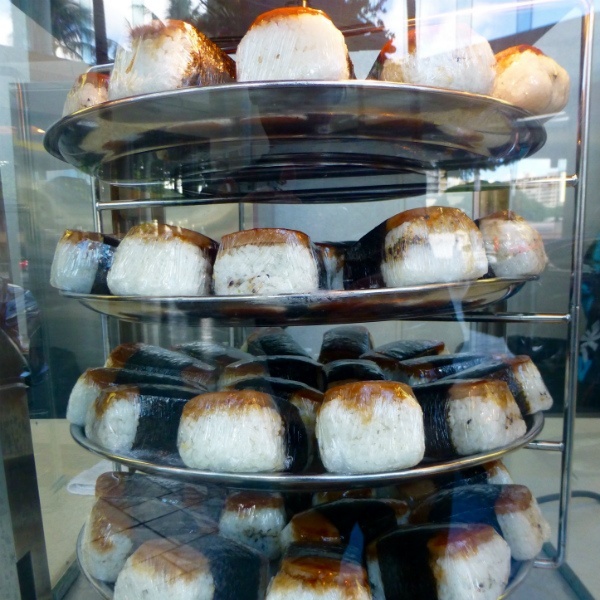 The convention center's lobby is a good place to buy (sushi rice topped with grilled Spam and nori) as a between-runway snack, although I didn't see the models eating any. Sponsored by , the longest established magazine west of the Mississippi, the third-annual show has yet to conquer the fashion world, if we're being honest. Surprisingly though, Honolulu is a shopper's dream for stocking up on cold-weather gear, including by Loro Piana and Moncler. 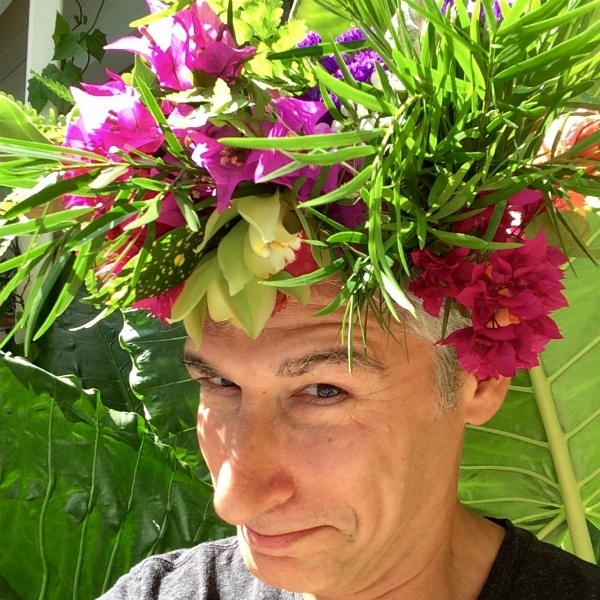 But there's definitely also a Hawaiian look. Here it is by (at left) and (at right). A look at fashion for the whole family. 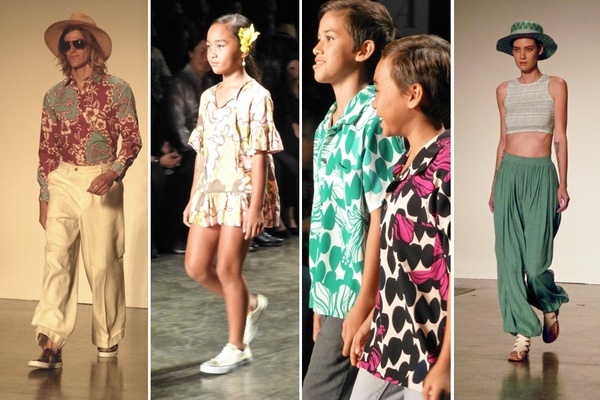 From left, ensemble by , celebrating its 60th anniversary this year; childrens' looks by Manuhealiʻi; beachy ensemble by . 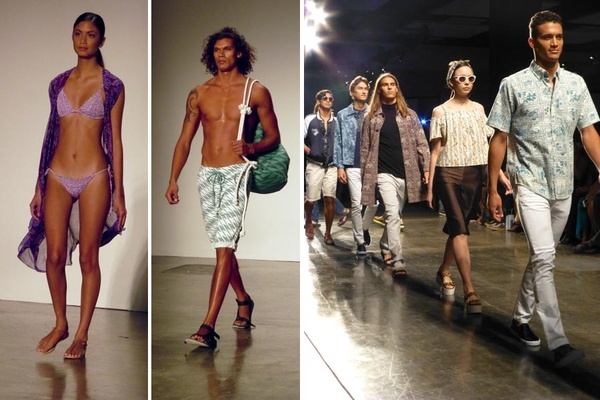 More looks from , Manaola, and Reyn Spooner. 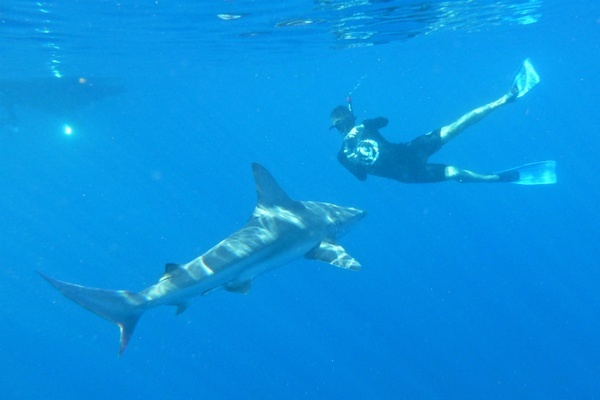 Who doesn't cap an Oahu long weekend with in 250 feet of clear water? And a little more fashion and sightseeing on the beach? 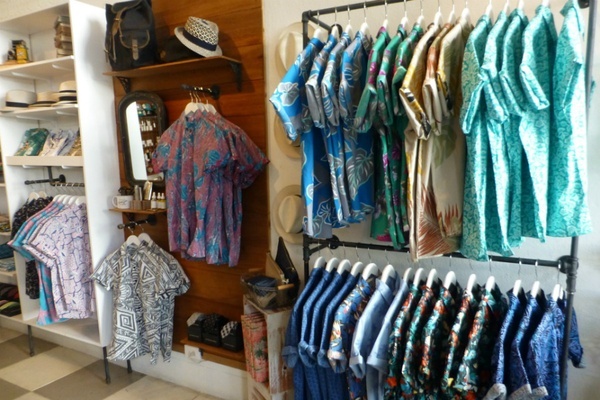 I even shopped for an aloha shirt, after going through aloha shirt conversion therapy to bend my will to those of the masses and adopt their customary ways at shop. I ate and drank. And swam and saw. 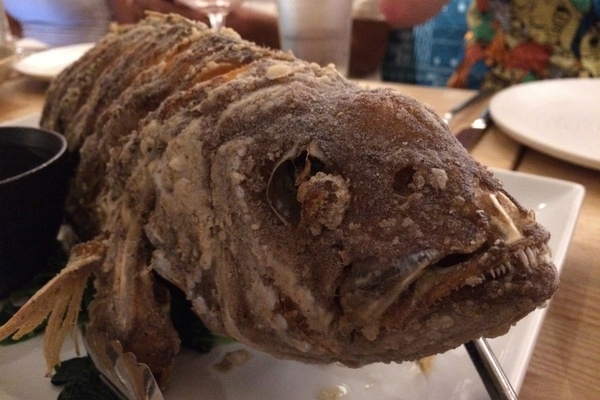 This fried fish was a rice flour-fried snapper from the Surfjack's restaurant, . 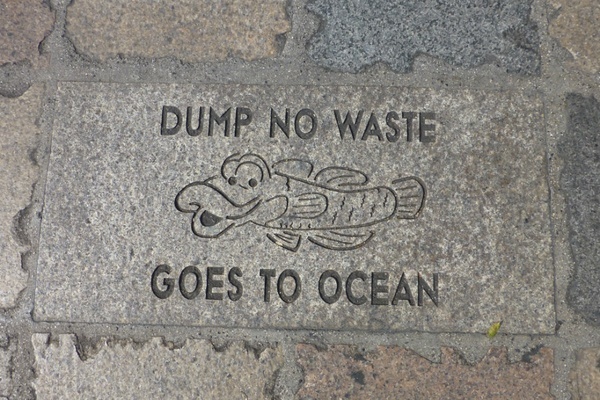 This species of this fish, seen on a Chinatown sidewalk, is harder to discern. 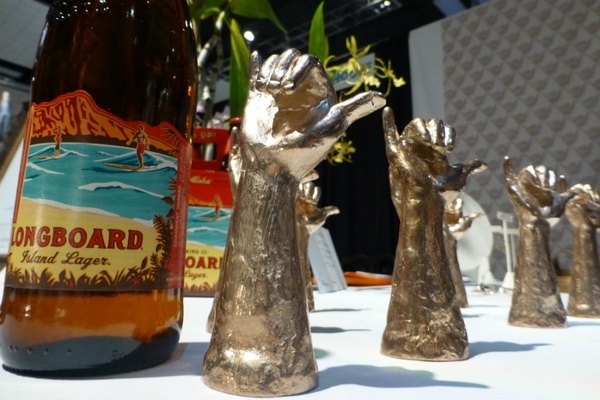 , who designed the Surfjack's wallpaper, also designed these bottle openers, which came in handy. 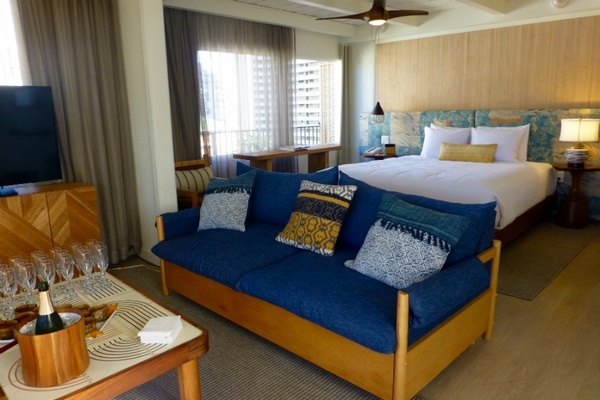 Built in 1961, and reopened as a hotel in March, the oozes '60s Hawaiian beach-culture charm, with no shortage of swanky cocktails and swankified guests and locals sipping them in the lobby…or upstairs in the suites. 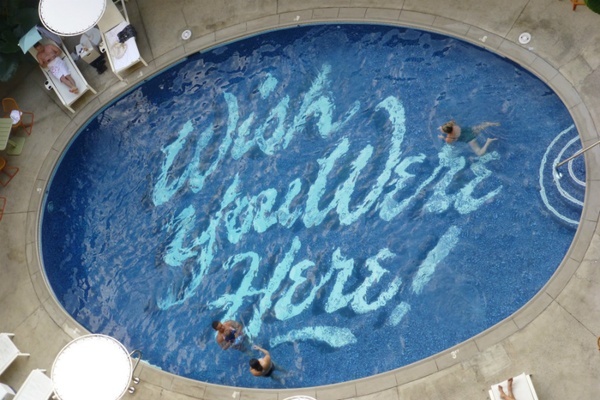 The hotel's the jewel of , which operates more than 50 hotels and resorts across the Hawaiian Islands and beyond. I'll come again, even without the fashion. But for now, I'll send postcards home.